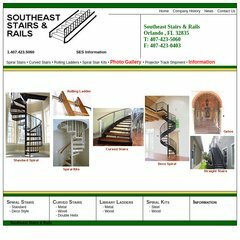 Topics: Spiral Stairs, Curved Stairs, Rolling Ladders, Spiral Stair Kits, Pricing, and Projects. It is written for PHP/5.2.5 language. Its 2 nameservers are ns1.hostdepot.com, and ns2.hostdepot.com. It is hosted by Host Depot Inc. Florida, using Microsoft-IIS/6 web server. PING (66.242.156.133) 56(84) bytes of data. A ping to the server is timed at 51.7 ms.